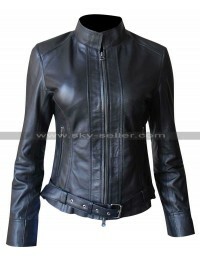 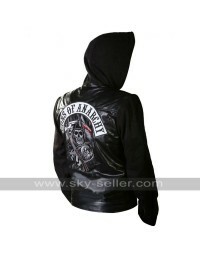 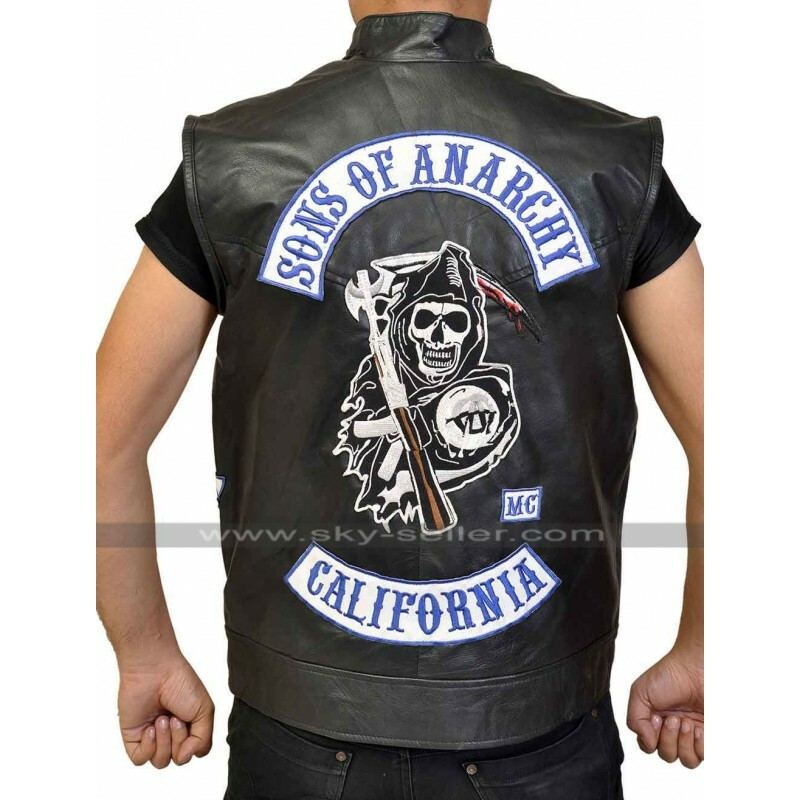 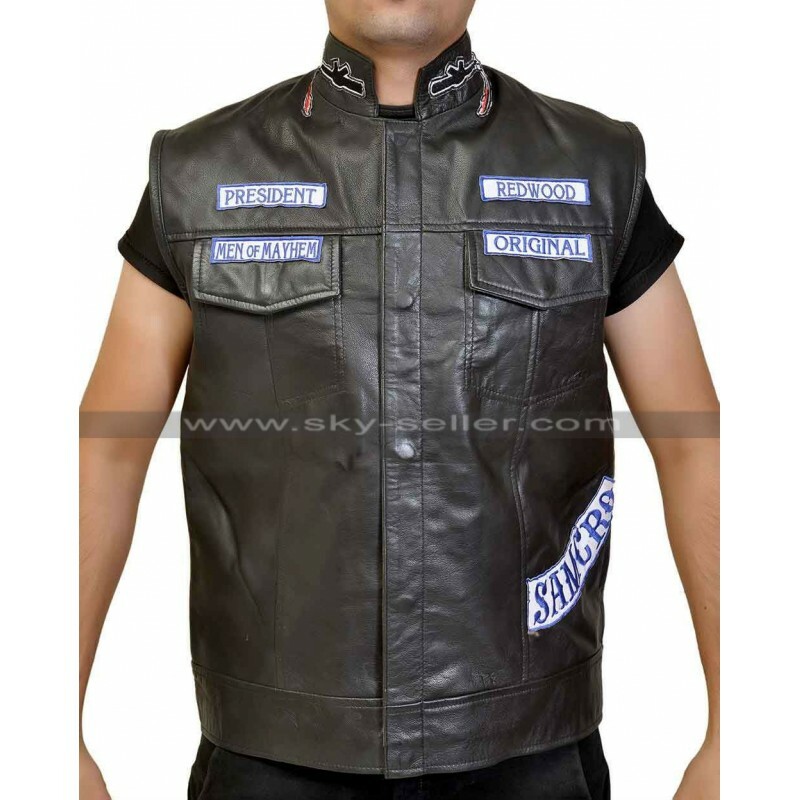 Worn by Charlie Hunnam in Sons of Anarchy S7 this leather vest speaks of the type of sternness of the character in the movie. 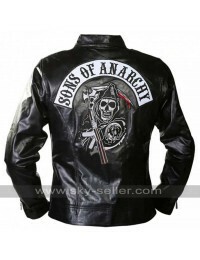 This jacket is in itself the marvel of tough fashion statement. 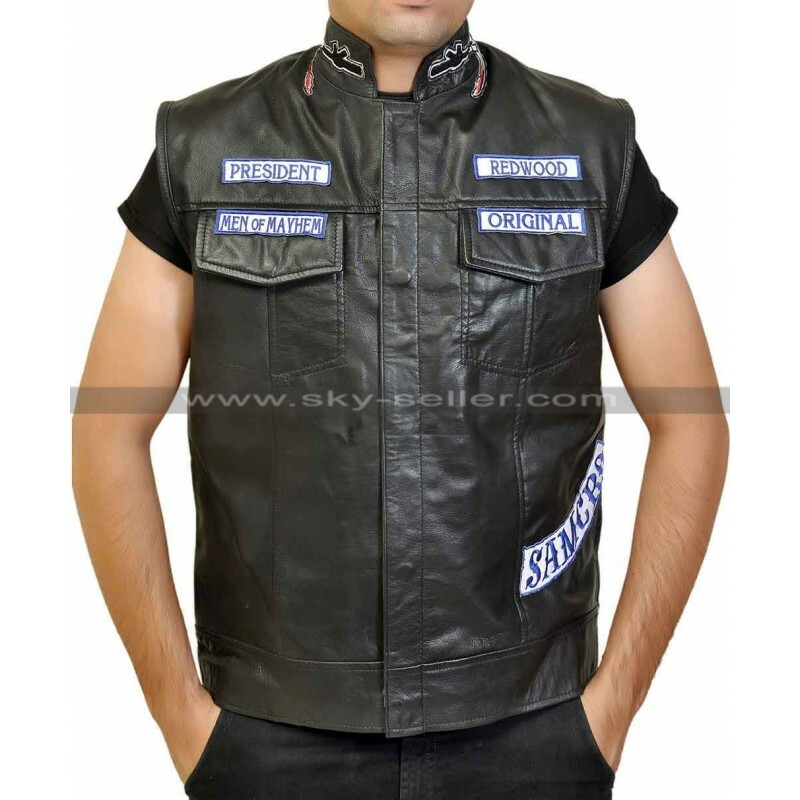 This genuine leather product is fit for biking. 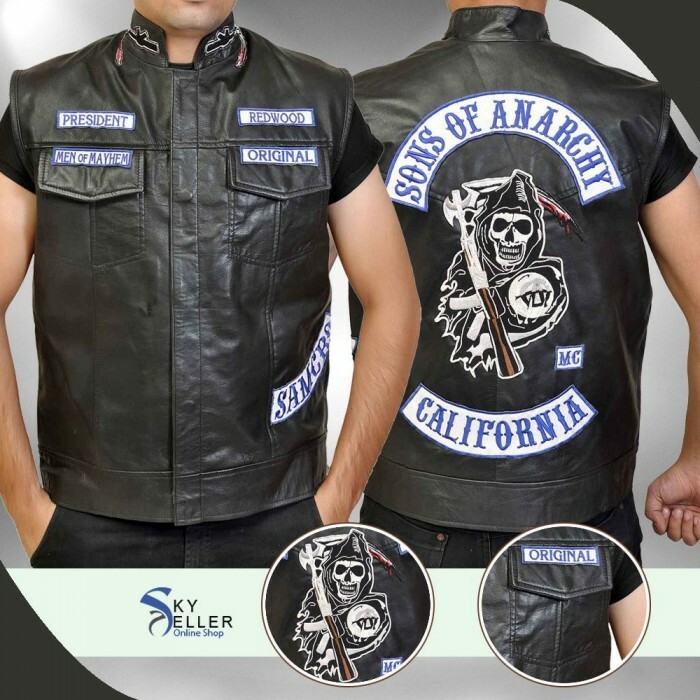 The label straps at the front and the huge logo at the back are something which add to the subtle brutality this piece exhibits. 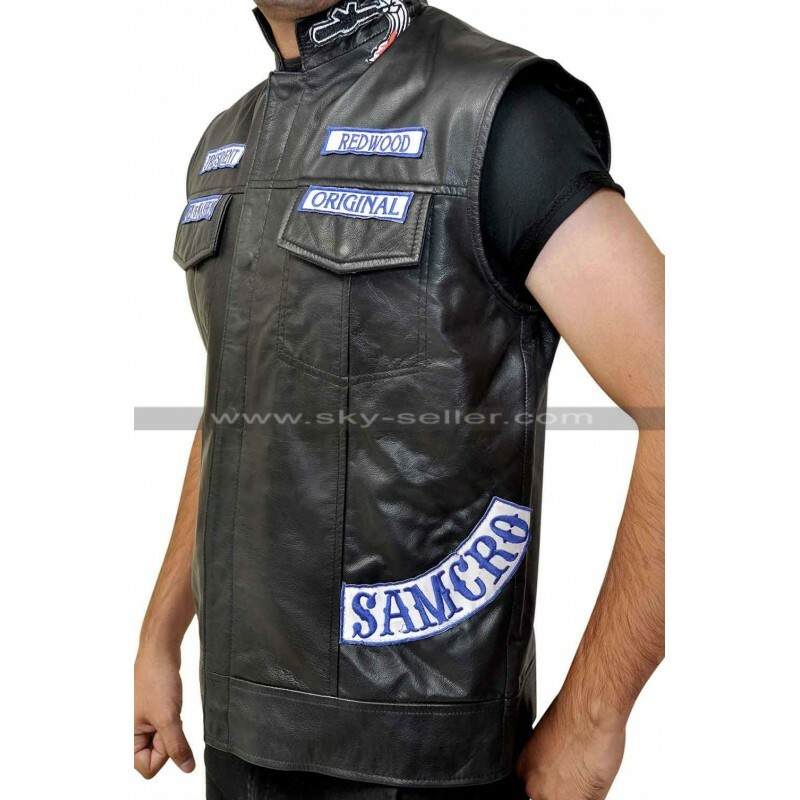 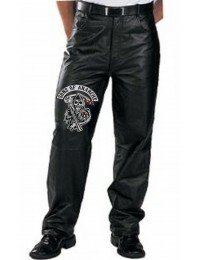 For people who love tough and stern fashion products, then this Jax Teller vest is for them.